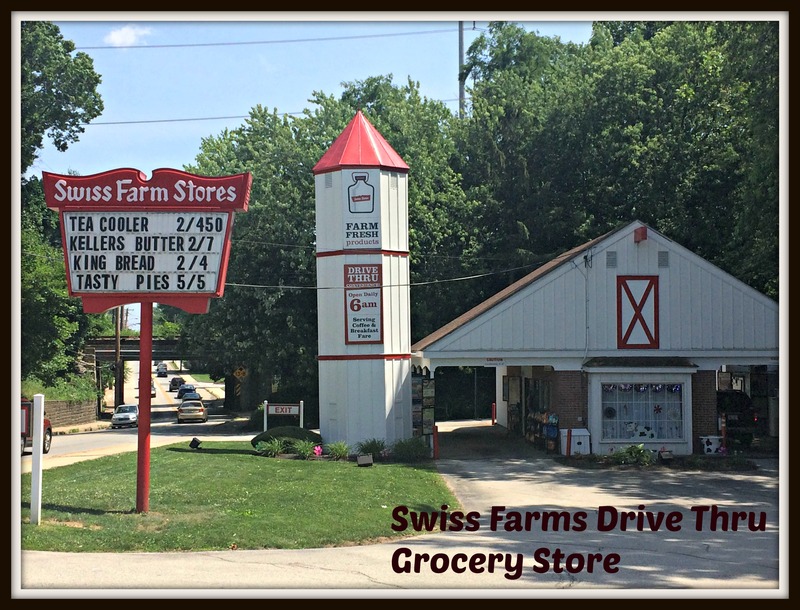 Swiss Farms Drive Thru Grocery Store – Milk, Meals and More! 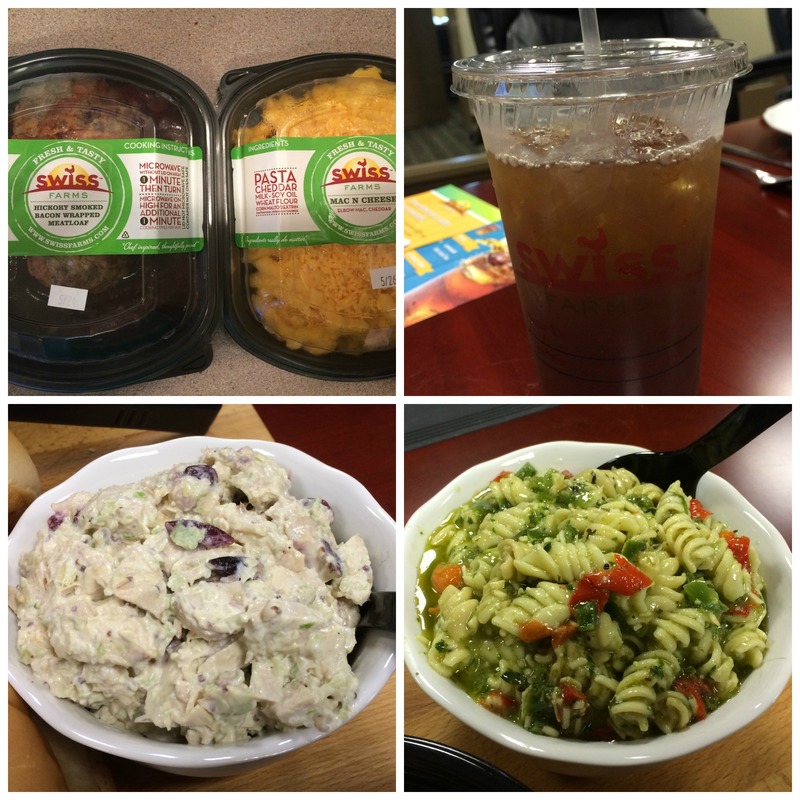 Disclosure: I attended a luncheon at Swiss Farms Corporate Office. I received an additional meal and money saving coupons to facilitate this review. No monetary compensation was received. All opinions, as always are my own. If you live in Delaware County, it is likely that you have visited or at least passed by one or more Swiss Farms Drive Thru grocery stores. (They have been serving our area for over 46 years and counting!) In my case, I often attribute the fact that when we were looking for a house and I suddenly got a craving for Tea Cooler, that it was fate that I would spot a sign at the end of my street (just across the way from Swiss Farms) announcing an open house. I drove through Swiss Farms with my then fiancée (and now husband), satisfied my craving by picking up some Tea Cooler and made my way back across the street, where (lo and behold! ), we found the house of our dreams! Since the day we moved in, I have enjoyed frequenting Swiss Farms for everyday staples like bread, milk and eggs (Do you get the feeling we enjoy making French toast?). We have always been big fans of their iced tea and my kids are head over heels for their lemonades. As our family grew and I was home with toddlers, Swiss Farms quickly became my sanity saver, allowing me to make a quick trip for a few items on my grocery list without having to wrestle my children in and out of the car. No meltdowns to deal with at Swiss Farms – if anything the kids always seem intrigued by the person walking up to the window waving hello and bringing us our groceries. We have certainly come to know the staff at our local store – as they are always super friendly and ready to greet and assist us with a smile; I love the personal experience and quality service. A few weeks ago, I was contacted by Swiss Farms corporate office and invited to visit along with two additional local bloggers, my friend Rachee of Say It Rah-shay and the lovely Iris of The Palate Princess. 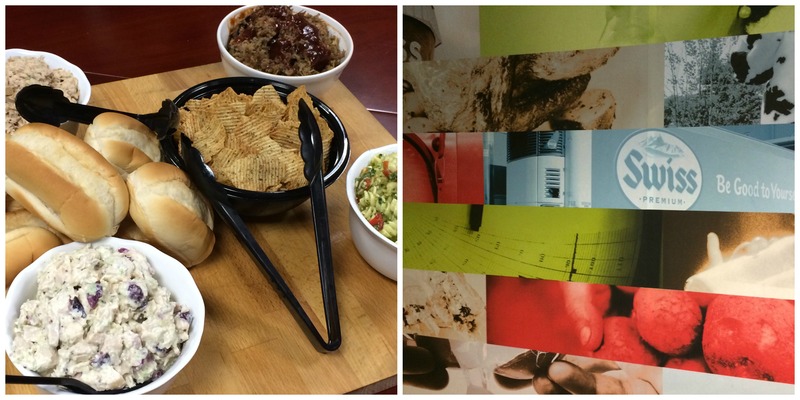 Collectively we had the opportunity to meet with several corporate employees, including Corporate Chef Tim McGinnis to learn about some of their new menu items. I was aware that the stores carried take out breakfast, lunch and dinner items but I had no idea just how many items were on their menu! It was such a pleasure to not only learn about all of the wonderful offerings, but to sit, chat and savor some of the fresh menu items for ourselves. The meals are absolutely delicious and so easy to prepare. Since my visit, my family and I have tried the bacon wrapped meatloaf, mac and cheese, roasted Dijon salmon, roasted asparagus, A Casa take and bake pizza and a rotisserie chicken. I am also crazy about their cranberry chicken salad so I have been buying a container to take in my cooler to the pool. It’s delicious as a sandwich, on crackers or a top a fresh garden salad. Preparing the menu items could not be simpler. I suggest if you like a crispier crust, be sure to cook the take and bake pizza directly on the oven rack and when heating meals in the microwave, be sure to take the power of your microwave into consideration. I accidentally overcooked my salmon a bit by leaving it in the full suggested amount in my microwave (lucky for me – it was still delicious). Next I am looking forward to trying the crab cakes. I LOVE seafood this time of year! 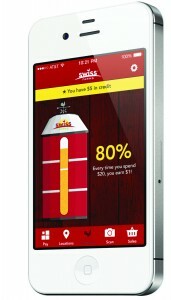 Just when you thought Swiss Farms couldn’t get any more convenient, they have just gone high tech with the launch of their new Swiss Farms FREE app for smartphones, which incorporates a new loyalty reward program, where you will earn $1 in rewards for every $20 you spend at Swiss Farms using the app, and enables mobile payments by loading a payment to their account. In addition to the base rewards, Swiss Farms also offers a $3 credit simply for downloading the mobile app and creating an account. Customers can also earn $3 for each friend they refer to the app. The app can be downloaded for free at the App Store (for Apple iPhones) and Google Play (for Android devices). Swiss Farms is also a big believer in supporting and giving back to the community. Through Farm Fresh, members of pre-registered organizations received a 5% discount on purchases, while also earning a 3% rebate for their organization on the value of those purchases. The new mobile app will replace the Farm Fresh card and widen the eligibility to all customers, yet still allow Farm Fresh users to earn the 3% rebate for their organizations. No need to fumble for cards – all you need now is your smartphone app! As I anticipate long days at the pool and lazy days of not cooking, I have a feeling I will be spending a lot of time at Swiss Farms drive thru this summer! It’s so refreshing to know that I can enjoy a healthy meal with my family even when it is “take out” style! Do you frequent Swiss Farms? Which menu items are your favorite? Oh, Kelly, you may have hooked a new customer for Swiss Farms! We’ve gone a few times for last minute milk runs. We noticed the food items the last time we were there, and didn’t think to ask about them.